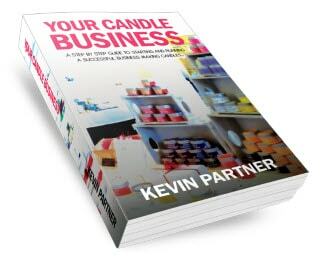 You might imagine that not much changes in the very traditional industry of candle making but you’d be wrong. The first great revolution in candle making was the development, in the mid 1800s of paraffin wax which is, today, a by-product of the lubricating oil industry. For 150 years, paraffin was the only choice but, back in the 1990s, NGI developed the first waxes based on soy-beans. 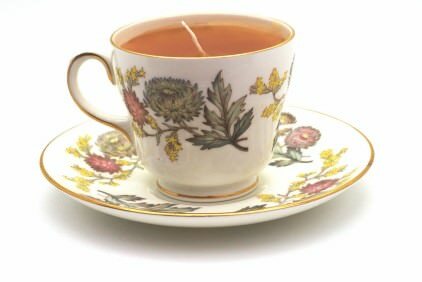 Now, I’m not going to get into the arguments about whether, overall, soy waxes are more environmentally friendly than paraffin (they’re not, in my view) but they provide a welcome choice in the marketplace and, due to genius marketing, if you’re making candles to sell, EcoSoya is more attractive to customers. As of today, soy waxes perform almost as well as their paraffin equivalents – though scent throw is still inferior and colouring can be a problem. Many crafters have made businesses based on soy and have got used to the existing range of container and pillar waxes (eg CB-135, CB-Advanced, CB-Excel and PB) so the news that they are being discontinued with immediate effect came as a shock. Soy waxes contain various natural additives (depending on your definition of “natural”) including some used in the food industry – specifically Partially Hydrogenated Oils (PHOs). These have recently been banned by the US’s food agency and so production is ceasing (because there’s not enough business in producing just for soy wax) and, despite the reassurances given to NGI by their suppliers, the rug has been pulled from under them at unexpected speed making it impossible for them to continue production. So, from now, the traditional range of soy waxes no longer exists. In the medium term, new products will appear from NGI to replace their now defunct range. We’re promised these in early 2017 but I wouldn’t hold your breath as NGI did not expect to have to introduce them so soon and development is likely to be rushed. Fortunately, there are ready-made alternatives to soy for use in containers if you prefer not to use paraffin wax. The best of these, in my view, are based on rapeseed oil (often called canola oil). In fact, many people consider the scent throw of canola waxes to be superior to soy. At MakingYourOwnCandles, we’re currently testing a UK-produced canola wax which really would be environmentally friendly as the road miles would be minimal. The problem comes with pillar blends – there are currently no alternatives to EcoSoya PB that we’re aware of. For these, we will be experimenting to create our own blend but, if that doesn’t work out, we’ll await a new version from NGI or elsewhere. For now, the safest best is to stick with paraffin pillar blends but this problem will be solved in 2017 at some point, probably sooner rather than later. So, despite its image, candle making does change and this rocket underneath the main soy producer is likely to be, in the long term, a welcome shot in the arm and a driver of innovation. In the meantime, if you have a product line based on soy wax, it’s time to secure the last supplies (if possible) and look for alternatives going forward. Thank you! This is the only site I have found that explains NGI’s sudden discontinuation of its whole product line! It made no sense why they would do that to their customers (including our soy candle business) but now I understand. NGI is completely missing the mark by not communicating with its customer base and risks losing a large portion of it. Please advise us whether you may replace ECOSOYA CB-135 by Nature Wax C3 . My small business is about to go under due to this. The Cb-135 was the main ingredient in the production of my Massage candles. Is there any alternative specifically for those purposes? Very interested in making candles/ melts as way of a fundraising drive for a club I am involved with. Rapeseed, canola and other alternatives seem to be the way to go. Not communicating truthfully will kill a business in the long run. Thanks for posting this, I own Anacortes Candles (AnacortesCandles.com) and I LOVED the advance soy wax from NGI because the wax could deal with our crazy design processes. We have been testing other waxes with no luck. Alas, this path of my candle making I think will come to an end. On to the next chapter… It was fun while it lasted. Did anyone find the new waxes comparable to cb135?